Are we witnessing a rediscovery of Gnosticism? To judge from the burgeoning new literature and the increased use of the terms “gnosis” and “Gnosticism” in popular publications, the answer would seem to be yes. Only twenty-five years ago, when one used the word “Gnostic,” it was very likely to be misunderstood as “agnostic,” and thus have one’s statement turned into its exact opposite. Such misapprehensions are far less likely today. Nevertheless, increased academic attention (beginning with the discovery of the Nag Hammadi scriptures in 1945) and the ensuing popular interest have produced a confusion of tongues which is anything but helpful for the sincere inquirer into matters Gnostic. It is often difficult even to tell what is meant by the word. The difficulty in defining Gnosticism is not entirely of recent origin. As early as 1910, a small book was published in London that in many ways foreshadowed current trends, including the difficulties in definition. The title of the work was Gnosticism: The Coming Apostasy; the author, a certain D.M. Panton, was an anxious defender of Christian orthodoxy, which he felt was menaced by an emerging Gnostic revival. Once I believed that Gnosticism was a well-defined phenomenon belonging to the religious history of Late Antiquity. Of course, I was ready to accept the idea of different prolongations of ancient Gnosis, and even that of spontaneous generation of views of the world in which, at different times, the distinctive features of Gnosticism occur again. At least one circumstance emerges from this statement that is widely overlooked in America. In Europe “Gnosis” and “Gnosticism” are almost always used interchangeably. The suggestion that term “gnosis” ought to be used to describe a state of consciousness, while “Gnosticism” should denote the Gnostic system, has never caught on. The use of such classical Gnosticism of Valentinus, Basilides, et al., persists in European literature, including the writings of such scholars as Gilles Quispel, Kurt Rudolph, and Giovanni Filoramo (to mention some of the most recent ones). It is true that Robert McLachlan put forth a proposal to use these terms otherwise, but current usage in Europe has not followed it. This opening salvo was followed by such books as The New Science of Politics, the multivolume Order and History, and Science, Politics, and Gnosticism. Voegelin became a prophet of a new theory of history, in which Gnosticism played a most nefarious role. All modern totalitarian ideologies were in some way spiritually related to Gnosticism, said Voegelin. Marxists, Nazis, and just about everybody else the good professor found reprehensible were in reality Gnostics, engaged in “immanentising the eschaton” by reconstituting society into a heaven on earth. Since Gnostics did not accept the conventional Christian eschaton of heaven and hell, Voegelin concluded that they must be engaged in a millenarian revolutionising of earthly existence. At the same time, Voegelin was bound to admit that the Gnostics regarded the earthly realm as generally hopeless and unredeemable. One wonders how the unredeemable earthly kingdom could be turned into the “immanentised eschaton” of an earthly utopia. That Voegelin’s new Gnostics had no knowledge of or sympathy with historical Gnosticism did not bother him either. Gnostics they were, and that was that. Voegelin’s confusion was made worse by a number of conservative political thinkers, mainly with Catholic connections. Thomas Molnar and Steven A. McKnight followed Voegelin’s theories despite their obvious inconsistencies. In Molnar’s view, Gnostics were not only responsible for all modern utopianism, but also for the inordinate attachment of modern people to science and technology. The scientific world view, said these folk, is in fact a Gnostic world view, and it is responsible for treating humans as machines and for making societies into machinelike collectives. The politicised view of Gnosticism continues to have its adherents, but these are increasingly recruited from the lunatic fringe. Gnostics are still represented as dangerous subversives in pulp magazines and obscure conspiracy pamphlets “exposing” Freemasons, Satanists, and other pests. Meanwhile, respectable conservative thinkers have dropped the Gnostic issue. Some, like scholar and former US Senator S.I. Hayakawa, have subjected Voegelin and his theories to severe criticism and ridicule. Another sometimes confusing voice comes from writers who are bent on proving that within the existing major religions a secret tradition of gnosis may be found which is not identical to the “heretical” Gnosticism of the early Christian centuries. In his 1947 work The Perennial Philosophy, Aldous Huxley promulgated a kind of gnosis that was in effect a mystery reserved for elites, revealed at the dawn of history and handed down through various religious traditions, where it still maintains itself in spite of its ostensible incompatibility with the official dogmas of those traditions. With this view, Huxley approximated the more radical position held by Traditionalists such as René Guénon and Frithjof Schuon. Huxley, on the other hand, never passed judgment on anyone who called himself a Gnostic. One could only wish the same could be said of other Traditionalists. Followers of Guénon (who, born a Catholic, converted to Islam in a somewhat untraditional manner) often castigate the early Gnostic teachers in a manner reminiscent of the more extreme ancient polemicists like Irenaeus or Tertullian. The Traditionalists’ division of Gnostic writers into “false Gnostics” and “authentic Gnostics” reflects standards that are nothing if not arbitrary; contemporary research indicates that during the first three or four centuries CE there was as yet no true orthodoxy and thus no heresy either. Instead, many opinions on religious matters, including gnosis, flourished side by side. Certainly there were disagreements, but to arbitrarily extrapolate standards of falsity and authenticity from these polemics does not seem justified. The 1988 edition of The Nag Hammadi Library contains a lengthy afterword entitled “The Modern Relevance of Gnosticism.”3 Its author, Richard Smith, ostensibly reviews the numerous developments in Western culture which appear to be related to Gnosticism. One would hope that here at last we might find a definition of true Gnosticism and a list of modern writers and thinkers who might appear as its representatives. Unfortunately this is not the case. Smith lists a number of important figures of modern culture from the eighteenth century onward who were sympathetic to Gnosticism. Reading this afterword, however, one gets the impression that few of these seminal figures possessed an adequate definition of Gnosticism, and that they thus more often than not misused and misappropriated the term. The eighteenth-century historian Edward Gibbon, for example, is accused of a “mischievous lie” in referring to the Gnostics in complimentary terms. (Admittedly Gibbon did not share the low esteem in which the Church Fathers held Gnostics, but does this make him a liar?) And the Gnostic and Manichaean sympathies of Voltaire are represented as being motivated by his opposition to churchly authority. But could the great philosophé have had other reasons for his views? It is well known that Voltaire was an ardent Freemason, and he might have received favourable information about Gnostics through the esoteric currents flowing in the secret fraternities of his time. Maybe he was privy to knowledge unknown to Smith. In the same vein, Smith implies that C.G. Jung appropriated Gnosticism by turning it into psychological theory. “Jung takes the entire dualist myth and locates it within the psyche,” Smith writes.4 Personally I have devoted the major part of my life to exploring the relationship of Jung’s thought to Gnosticism, so such statements touch a nerve. Jung was not only interested in the Gnostics, but he considered them the discoverers and certainly the most important forerunners of depth psychology. The association between Jung’s psychology and Gnosticism is profound, and its scope is increasingly revealed with the passage of time and the wider availability of the Nag Hammadi scriptures. My studies have convinced me that Jung did not intend to locate the content of Gnostic teachings in the psyche pure and simple. To say that Gnosticism is “nothing but” psychology would have horrified Jung, for he opposed the concept of “nothing but.” What made Jung’s view radically different from those of his predecessors was simply this: he believed that Gnostic teachings and myths originated in the personal psychospiritual experience of the Gnostic sages. What originates in the psyche bears the imprint of the psyche. Hence the close affinity between Gnosticism and depth psychology. Jung’s view may thus be called an interpolation, but not an appropriation. The need for definitions appears greater than ever in the light of such controversies. One of the persons who kept the Gnostic phenomenon alive was C.G. Jung’s close associate, the Gnostic scholar Gilles Quispel, who laboured long and hard on relating the ancient gnosis of Valentinus and other teachers to the modern gnosis of analytical psychology. He saw the Gnostic effort as involving deep insight into the ontological self, and thus as analogous to the best in depth psychology. Quispel’s major work on the subject, Gnosis als Weltreligion (“Gnosis as a World Religion,” published in 1972), explains in detail the relationship of Jung’s model to Gnostic teachings. Quispel, like Jung himself, did not reduce Gnostic teachings to depth psychology, but rather pointed to depth psychology as a key to understanding Gnosticism. Another key figure in the reevaluation of ancient Gnosticism was Hans Jonas. A pupil of existentialist philosopher Martin Heidegger in the 1930s, Jonas turned his attention to the wisdom of the Gnostics, and discovered in them an ancient relative of existential philosophy. Existentialism’s pessimism about earthly life and high regard for experience as against theory thus found a forebear and analogue. Although critical of the Gnostics’ apparent “nihilism,” Jonas was, along with Jung, one of the most important figures to bring Gnostic teachings into modern perspective. The linkage effected by Jung and Jonas between Gnosticism in the past and living philosophies in the present was of crucial importance and came very close to supplying gnosis and Gnosticism with vital, living definitions. The questions posed (and answered) by the ancient Gnostics revealed themselves now, not as outlandish and bizarre, but as earlier discussions of issues addressed in more recent times by Freud, Jung, Kierkegaard, Heidegger, and many others. The search for definitions is never easy, particularly in such fields as the social sciences. In these disciplines much attention must be given to the historical context in which beliefs and actions unfold. Crucial differences and similarities in nuance, tone, and subtleties of mood are more important here than hard and fast definitions. The debate about Gnosticism, it would seem, turns on such nuances, and it may well be that not much can be resolved by definitions. Nevertheless, the present chaotic conditions warrant an attempt. In 1966, a distinguished assembly of scholars convened in Messina, Italy, for the purpose of arriving at some useful definitions of Gnosticism. The results of this gathering were not encouraging. The scholars proposed restricting the use of the term “Gnosticism” to certain second-century “heretical” movements, while the broader term “gnosis” was to be used to refer to “knowledge of the divine mysteries for an elite.” While a useful attempt, it did not manage to clear up the confusion. 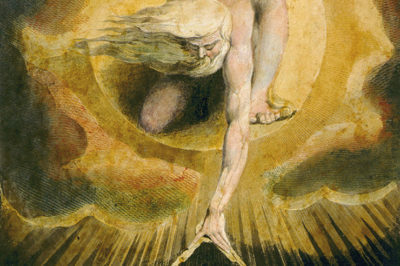 The difficulties in pinning down a definition of Gnosticism are intimately connected with the controversy about its origins. Was it indeed no more than a heretical offshoot, an eccentric and aberrant branch of Christianity, or was it the latest expression of a long, mostly hidden tradition that had existed for centuries before the Christian era? No one has answered these questions with final authority. As a result of the precosmic division the universe was created. This was done by a leader possessing inferior spiritual powers and who often resembled the Old Testament Jehovah. The noted sociologist Max Weber wrote in his book The Protestant Ethic and the Spirit of Capitalism that “the perfect conceptual definition cannot stand at the beginning, but must be left until the end of the inquiry.” That is what we have done in the present inquiry also. Emery’s twelve points are in every consistent with the proposal set out by the colloquium at Messina. Second-century Gnosticism is taken as the principal model for all of these definitions, a practice that appears to be sensible. Nor is any separate recognition given to any so-called “orthodox gnosis” that is occasionally alluded to, more as a figure of speech than as any discernible historical phenomenon, in the writings of some of the Church Fathers who were contemporaneous with the Gnostics. It would seem that whatever is excluded by Emery’s definitions and the protocol of Messina may be more profitably considered from doctrinal perspectives other than Gnostic. Whatever the value of this line of inquiry, at least it calls attention to definitions that are historically unimpeachable and terminologically definite. This is much more than the current literature – especially of the semipopular variety – possesses. Divisive categorisations that separate “false Gnostics” from “authentic Gnostics,” especially on the basis of orthodoxies which were never relevant to either Gnosticism or the Gnostics, may have to be discarded in the light of such definitions. The article first appeared in Gnosis: A Journal of Western Inner Traditions (Vol. 23, Spring 1992), and was reproduced in New Dawn Special Issue 2 by permission of the author. STEPHAN A. HOELLER Ph.D. is the author of The Gnostic Jung and the Seven Sermons to the Dead (1982), Jung and the Lost Gospels (1989), and Gnosticism: New Light on the Ancient Tradition of Inner Knowing (2002). 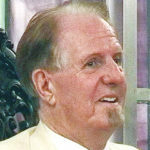 He is the director of the Gnostic Society of Los Angeles, Bishop of the Ecclesia Gnostica (www.gnosis.org), and a leading figure in contemporary Gnostic activities.